His resume' reads like a who's who of innovative music: Zappa, Bowie, Talking Heads, Nine Inch Nails, and many more. He has a long list of writing credits including 20 solo records, his work with The Bears, and 30 years of crafting material as the singer/writer/frontman for King Crimson. 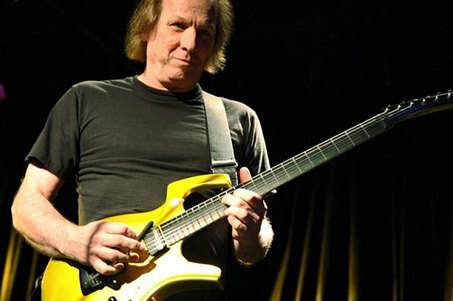 Adrian has produced hit records, performed concerts all around the world since 1977, and has created enough of a unique guitar legacy to be named Best Experimental Guitarist 5 years running, then to be inducted into Guitar Player's Hall Of Fame. Guitar work, guitar gear, recording, performing, writing, singing, the music business, you name it, Adrian has his own take on it and is happy to share it with you. Bring an open mind and have some fun!